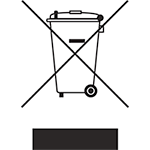 This website is compliant with the UK’s European Union (EU) E-Privacy Directive (REGU LATION (EU) 2016/679 OF THE EUROPEAN PARLIAMENT AND OF THE COUNCIL of 27 April 2016 on the protection of natural persons with regard to the processing of personal data and on the free movement of such data, and repealing Directive 95/46/EC (General Data Protection Regulation), which is a mandatory requirement. For information how to control and delete cookies plus complete information on our cookies uses on this site, please visit our Data Protection Policy page. Hubbard Products Ltd., is one of the UK’s leading designers, manufacturers and suppliers of commercial cooling equipment and has earned an enviable Global reputation for innovation and design-led excellence. Commercial Refrigeration serving the retail and convenience sectors, food manufacturing, hospitality and cellar conditioning markets. Hubbard is the sector leader in Cellar Conditioning, being the UK’s first Carbon Trust Approved supplier. Hubbard has also been at the forefront of Vehicle Refrigeration for over 40 years. Our ability to design and manufacture reliable, effective products that deliver value to our customers has kept Hubbard in a market leading position in the UK as well as a diverse range of export destinations. Hubbard serves the cool chain supply sector offering a wide range of direct drive, alternator drive, Diesel drive and stand alone electrical units for panel vans, box body vehicles and truck and trailer combinations. Hubbard also supplies cooling equipment to many of the UK’s supermarket home delivery services. 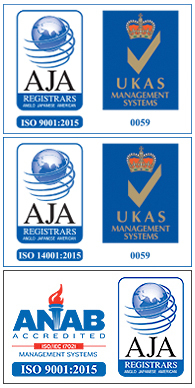 All this is supported by a comprehensive servicing and support team. As 2018 dawns, Hubbard Products celebrates its fiftieth anniversary. Now part of the global Daikin Group of companies, Hubbard Products has a well-earned reputation for innovation and design skill in the field of refrigeration and heat recovery. From transport through to commercial refrigeration, Hubbard Products can be found in all corners of the cold-chain and now, in the field of heat recovery from both ground and process sources. Hubbard Refrigeration was founded in 1968 at Martlesham, by the well-known engineer, businessman and entrepreneur Geoff Hubbard, born in 1918; his knowledge of refrigeration started when he was in the United States shortly after serving with the Royal Engineers in North and West Africa during World War II. He realised, from the constant use of ice when drinks were dispensed, that there was a ready market for ice-making machines and refrigeration, so starting his involvement in the refrigeration sector. His entrepreneurial skills also led to him running a very successful business renting television sets to US servicemen who were stationed in Britain for short periods and at other times, a helicopter business and an airline which transported mail. He was also well known as an owner and trainer of racehorses, with his first major success Shady Deal winning the 1982 Whitbread Gold Cup. He had for some years also owned the biggest privately trained string of jumpers in Britain. 1973 – Hubbard makes its first acquisition, FRIGIDAIRE from the global engineering conglomerate General Motors (GM). This growth in size necessitates a move to larger, bespoke premises, suitable for the manufacture, research and development and servicing support of the company’s widening range of high-quality refrigeration products. 1974 – The organisation relocates to Otley, Suffolk from where it continues to be a major local employer underpinning the predominantly rural economy as a shining light of independent engineering expertise. 1979 – By now the nationwide service and support division has grown to 21 engineers covering all corners of the United Kingdom. 1980 – To further cement the company’s reputation for innovation and inquisitive approach to refrigeration it is awarded a full European Patent for Eutectic Refrigeration. Eutectic refrigeration refers to the change of a liquid medium to absorb and dissipate large amounts of thermal energy while remaining at a constant pre-arranged temperature. This ‘Change’ occurs when a special solution is frozen by removing its heat and as it thaws into a liquid again while it absorbs heat. The eutectic solution is stored in beams to act like a renewable ice block, freezing solid during the refrigeration run cycle and thawing during off periods, continuously maintaining a constant cell temperature. Eutectic is still today a popular refrigeration answer as it can use off-peak ‘green’ electricity to power the freeze cycle and it has no emissions or by-products during its daily use. 1984 – Marks and Spencer (M&S) orders its first Hubbard Multi-Compressor Pack, opening the doors to Hubbard’s continuous association with the UK’s leading, blue-chip retailers and supermarket chains to this day. 1985 – In a significant development that revolutionises the Transport Refrigeration sector, Hubbard produces the first diesel-powered TRU for vehicles up to 13 ton. Up until this time, only larger vehicles have been capable of hauling the weight and being worthy of the considerable capital investment required in transport refrigeration. Without this development the type of smaller vehicles that we see today delivering our fresh, chilled and frozen foods are unlikely to have been developed so quickly. 1987 – The organisation is acquired by the Bullough Group, heralding the retirement of Geoff Hubbard the founder and seeing the integration of the organisation into one of the UK’s best-known FTSE 100 engineering and technical organisations. 1991 – April 23rd, Hubbard acquires Polar Pac Systems and, to meet continued demand for its products, the Otley factory is extended to 75,000 square feet. 1998 – After a period of long-term growth and consolidation, a global downturn in the economy widely knocks confidence in manufacturing in late 1997 resulting in the refrigeration sector of Bullough Group being acquired by Investors In Industry (3i) the multinational private equity and venture capital company. 2001 – Growth resumes at Hubbard with the acquisition of Europa Transfrigo. 2002 – Collaborating with M&S and British Oxygen Corporation (BOC) the company starts the development of the first of its high-efficiency, carbon footprint reducing refrigeration solutions a Nitrogen (NO) refrigerated TRU – called POLARSTREAM. 2003/2004 – Further developing its commercial division, the company now focuses on pack manufacturing. 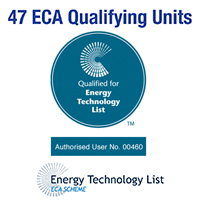 2005 – In a major development that will significantly focus the organisation, Hubbard becomes the first manufacturer to be listed on the Energy Technology List and being given ECA accreditation. The ECA is an important tax benefit introduced by the British government to encourage the specification, development and installation of energy efficient equipment. The system has been so successful that it continues to run to this day and has been widely adopted by other European countries. 2007 – The company becomes part of the leading European refrigeration manufacturer, Zanotti. With a comprehensive global presence Zanotti allows Hubbard’s innovative approach to refrigeration both static and mobile to be offered to a larger audience through the Zanotti sales network. 2008-2018 The most significant decade of growth in our existence sees the successful launch of a large portfolio of energy-efficient, environmentally friendly products, each improving on its predecessors’ impact on capital requirement, energy usage and carbon impact. This includes the Zenith – ECA 2010 qualifying condensing system, SimplyAir – 2012, Dearman Nitrogen powered Zero emission TRU 2014, Republic of Ireland (ROI) ACA listing 2015, Partnership with the Advanced Propulsion Centre (APC) 2016. 2016 – The continuing development of such a wide range of products leads the company once again relocating to a site closer to the international gateways of Felixstowe, Harwich and DP World London Gateway. Once established in its new home, Hubbard immediately progresses towards the development of its first CO2 refrigerated Packs aimed at major blue-chip retailers, domestically and globally. 2017 – Zanotti and Hubbard Products are welcomed in to the Daikin organisation with the transfer of Daikin products and staff, most notably ConveniPack and ZEAS commercial systems into the Hubbard Products portfolio.